Building your ideal tiny house doesn’t have to cost you an arm and a leg. On the other hand, you shouldn’t have to skimp out on any of the design features you want either. If you budget your project properly, then you can both save money as well as end up with your dream home. Even the cheapest tiny house doesn’t have to look cheap. Discover where you can cut costs throughout the building process and save your cash for your travels or to add a collapsible enclosed porch. Even though Craigslist isn’t the most reliable source, it can help you find the cheapest material to use for your tiny house. By browsing the free section, you’ll easily find pallet boards, wood, scrap metal, window panes, and furniture that can be useful. 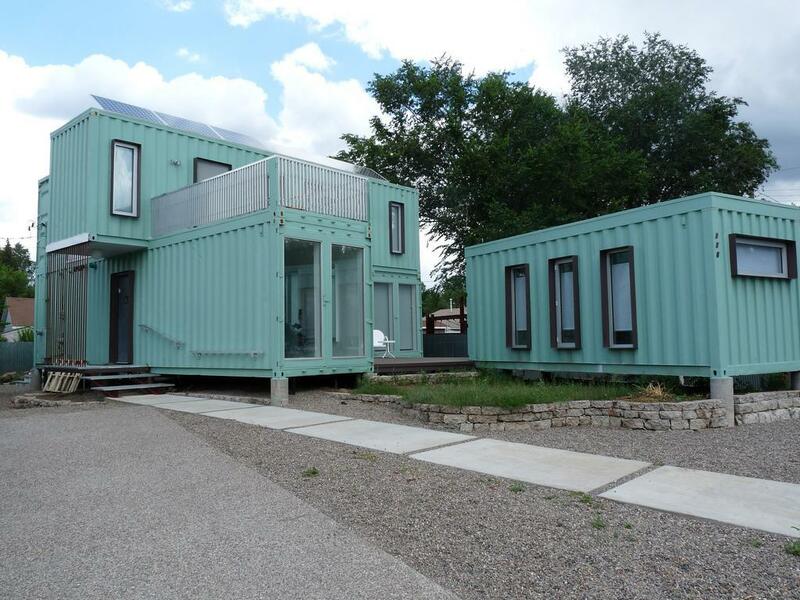 You might even get lucky and find a reasonably priced shipping container. These are a popular choice to use for a tiny house shell. They’re waterproof and already put together, so there’s less work involved. If you plan on building your tiny house on wheels, then Craigslist is the ideal place to find an inexpensive trailer as well. If you don’t have luck finding what you need on Craigslist, try similar options like Letgo, eBay, and the Facebook Marketplace. Local businesses can be an excellent source for finding recycled materials. They’re often tossing out perfectly good pallet boards and storage containers that you can scoop up. All it requires is being in the right place at the right time. You can also call a few local junkyards and see if they’ll let you poke around. Tell them you’re building a tiny house and they might put some things aside for you if you talk to the right person. 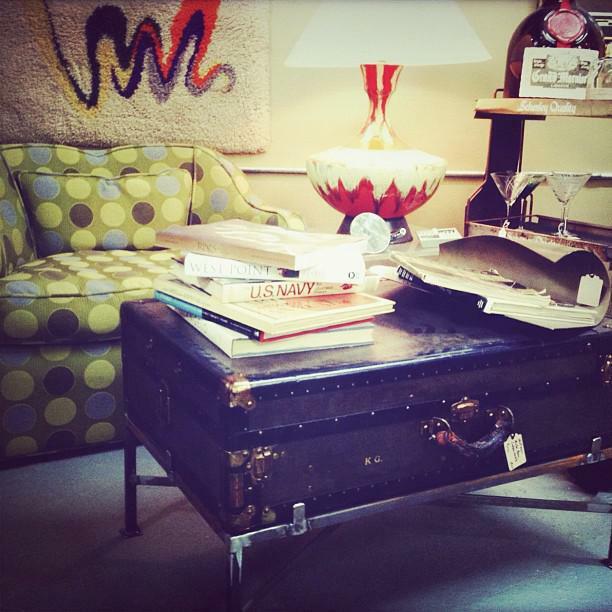 If you live near a Habitat Restore location, run by Habitat For Humanity, definitely stop by. While each location carries different items, you’ll be able to find the cheapest materials to use for an affordable tiny house. As a nonprofit, everything is discounted, and they often run sales or offer coupons. Shopping here will not only support local businesses but everything the organization stands for as well. Aside from building materials, they also carry new and gently used furniture, light fixtures, and appliances. When a building is in the planning stages of demolition, there will often be a sale scheduled for anything that can be restored. Salvaged materials can include bricks, bathtubs, doors, tiles, sinks, toilets, windows, flooring, and a whole lot more. Prices are usually next to nothing. The hardest part is finding these sales before the building is demolished. If you’re on a time crunch, you might not be able to wait to collect all of the materials you need to start building. That’s when a tiny house kit comes in handy. The cheapest tiny house kits for sale will come with design plans and a list of materials. From there you can add different features such as electricity, additional square footage, and plumbing. You can even purchase pre-cut shell materials, a completed tiny house, and everything in between. Tiny house kits are the best option for those with little or no construction experience. Some of them even come with color-coded materials for easier assembly. Purchasing a kit doesn’t mean you’re stuck with a cookie cutter design either. You can ask them to customize your affordable tiny house blueprints, but likely at a higher price. Waiting for a sale can help to reduce the cost though significantly. The simplest option for electricity when you’re tiny living is to set it up so that you can hook up to local utilities in RV parks. All you have to do is plug in your new home. If you plan on staying in these types of areas, then this might be the best option for you. Having your tiny house set up for RV parks also means you can easily remove your waste and hook up your house so that you have running water. On the downside, this isn’t the greenest option. If you’re trying to reduce your carbon footprint, then this electrical setup probably isn’t right for you. There’s also a fee for using an RV park’s utilities. It’s usually included in the cost of the parking spot, which ranges anywhere from $25 to $100. Even though solar panels are the most popular power source for tiny homes, they’re also the most expensive. Often members of the tiny house community will add them later on when they’re doing renovations. They’re ideal for those who want to live off the grid and don’t want to remain tethered to a power source. If you decide to go with solar power, add an electrician into your budget. You will likely also need a backup power source such as a generator. This will ensure you have electricity even on the cloudiest days. Another green option is installing a wind turbine on the top of your roof. Similar to solar panels, this power option isn’t always reliable. The wind isn’t always guaranteed. It is green though and would allow you to live off the grid. You’ll likely need a backup power source as well though if you don’t want to deal with outages. While generators are often the go-to backup power option, it can also be your primary source of electricity. Either a gas or solar generator can be used to power most of the items in your tiny house. 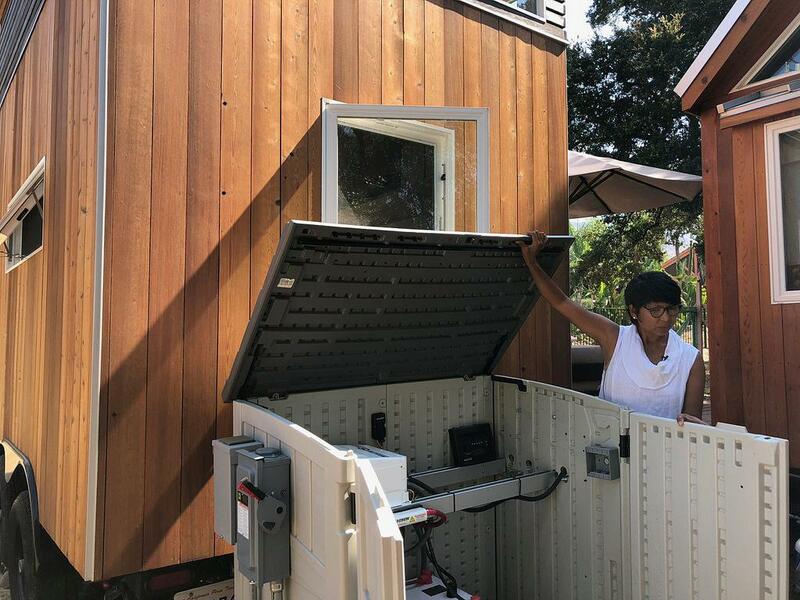 You might not be able to run high powered items like blow dryers, air conditioners, and heaters, but living off the grid often means roughing it a bit. Gas generators are definitely the cheaper option, but they’re known for being loud. You’ll also need to keep buying and filling it up with gas in order for it to work. While solar generators have a higher cost upfront, they recharge on their own as long as there’s sunlight. Once you decide which power source works best for you, it’s best that you also have a backup method. Combining two electric systems is the only way to ensure you always have access to power. Heating is a hefty bill, regardless of where you live. The average homeowner will pay an average of $450 per month on heating over the winter. Fortunately, there are a number of cheaper heating options to choose from when it comes to tiny living. As the cheapest option, your electric heater will ensure you sleep through winter nights without having to dress in thermal pajamas. Simple to use, there’s only one downfall. Electric heaters require electricity. If you plan on parking your home in an RV park for the majority of the time, then you won’t have a problem. However, solar panels or generators built for living off the grid likely won’t be able to power your heater. 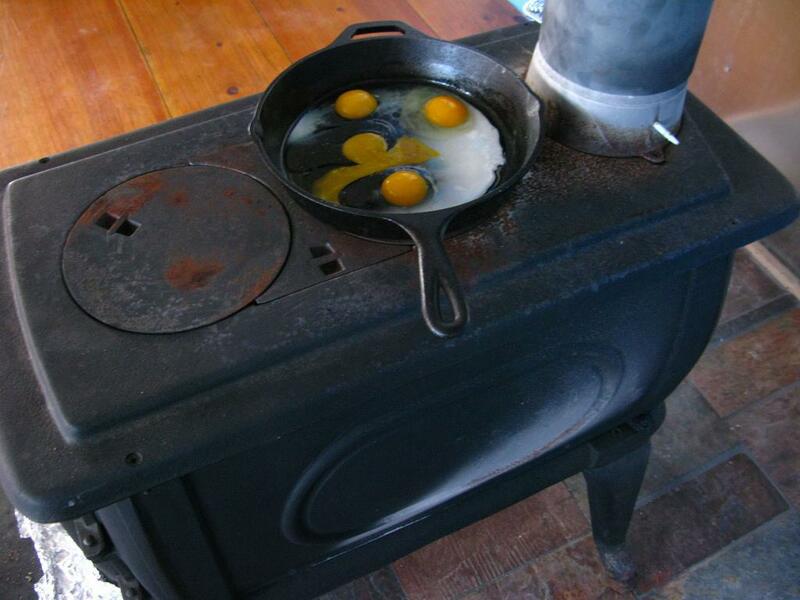 An indoor wood stove is necessary if you plan on taking your home on wheels to areas where the climate is cooler. It’s relatively cheap and can serve as your back up in case your other method isn’t working. You can even purchase a model that allows you to cook on top of it as well. They’re cute, affordable, and they’ll make your tiny home smell like a campfire. You really can’t go wrong. Just a tad more expensive than electric heaters, gas heaters are also an excellent option for heating your tiny house. They don’t cost very much up front but keep in mind that you’ll need to purchase gas for it regularly. If your generator works on gas, then this might be the best option for you since you’ll be buying extra fuel anyway. While gas heaters can take up a lot of space, if you spend just a bit more you can find a relatively flat wall unit instead. As the most costly option up front, a solar-powered heater might save you money in the long run. You can expect to pay a little over $1,000 for the system, which is said to attract heat from the sun even on cloudy days. Quebec resident Gabriel Parent-Leblanc discusses his use of a solar heater and how it saved him money in an interview with Exploring Alternatives. The cheapest way to build a tiny house is to construct your furniture from repurposed materials. You’ll have to purchase a few things, but it’s best to save a nice chunk of money for your appliances. Especially if you want a toilet that actually flushes. Any furniture you already have that is in decent condition can be painted and given new life. The same goes for anything you find curbside or at a reasonable price. The key is to save any space saving and storage pieces that could be useful down the line. Tiny homes often require unique mini appliances that you will likely have to pay full price for. By repurposing some old furniture, you’ll be able to use that part of the budget for a composting toilet or a dishwasher. 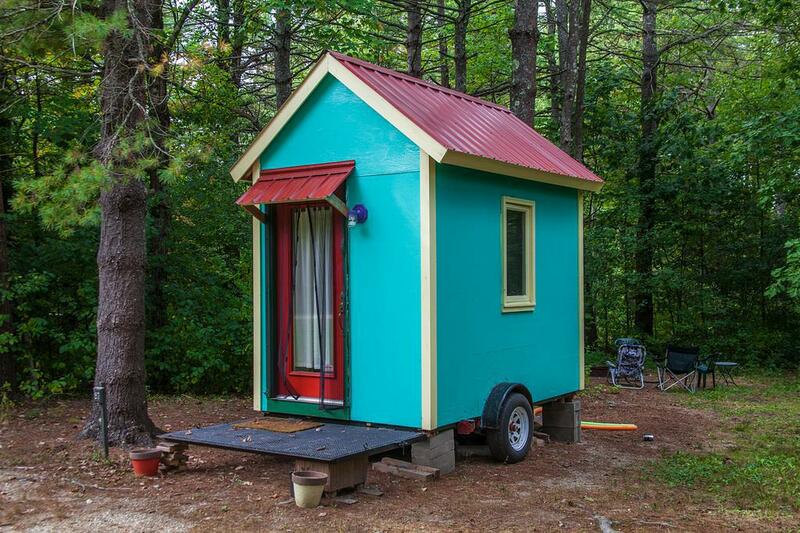 Having the cheapest tiny house on wheels doesn’t mean it needs to look cheap. You just need to know where to cut corners. 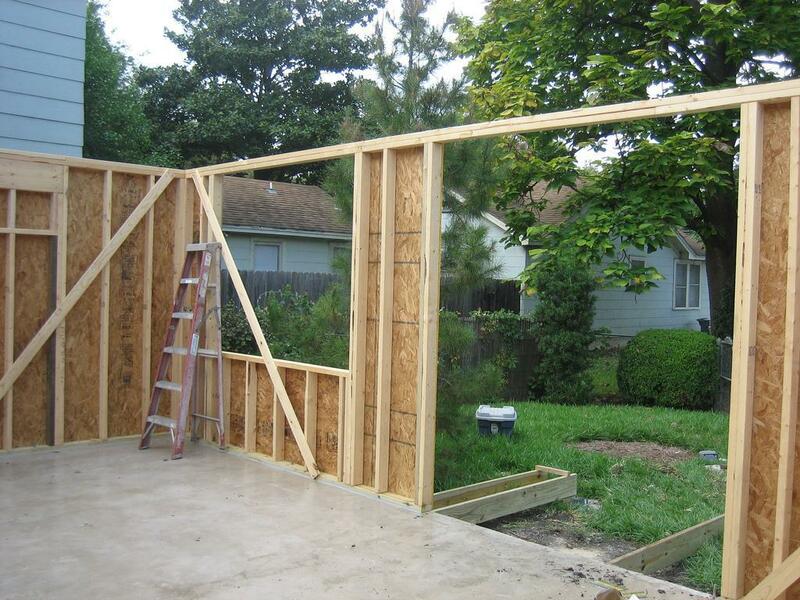 One of the most significant costs associated with the building process is the price of renting a space to construct your tiny house on. If you have the option to build on a piece of land for free, you should take it. Ask your friends and family if you can use their yards or garage. Once you tell them about your tiny house plans, they might even be intrigued enough to lend you a hand every once in a while. It’s important that you be realistic with your timeline though. Depending on how much you build yourself and how much experience you have, this can be an extensive project. 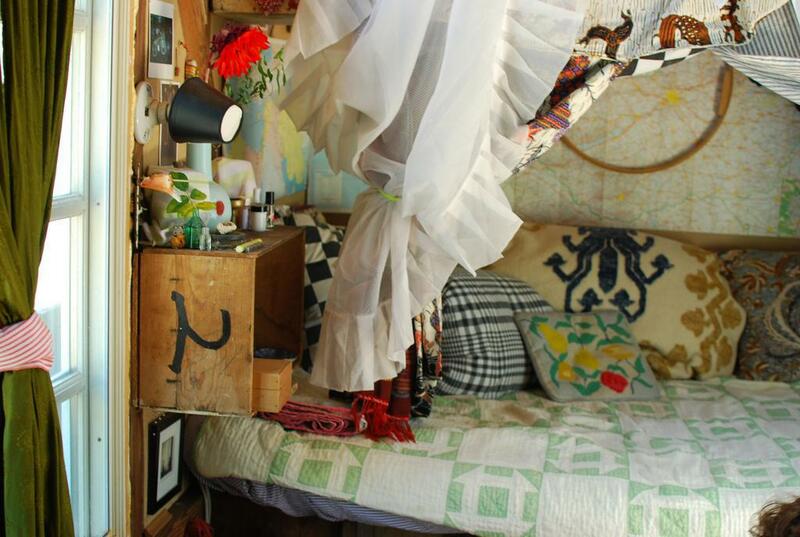 The average person needs 480 hours to complete their tiny home. In comparison, a professional would likely only need 200 hours. By having the freedom to work in a space free of charge, you won’t have the added pressure of a monthly bill to push you to work. So, you’ll save money but need to find some other way to keep yourself on track. Expand your budget with these money-saving tips, and you’ll be glad you did. Building an affordable tiny house is more than just creating a space for you to live. It’s a creative journey that you should embrace with open arms. Even if you have little experience with crafting things with your hands, you’ll still be able to enjoy the process. It has never been easier to work on this kind of project. You have all of the inspiration and tutorials you could ever need at your fingertips. Interested in living in a tiny house in Ohio? Here's all you need to know about finding the right tiny house builder for your project, as well as some of the top tiny house builders in the state. 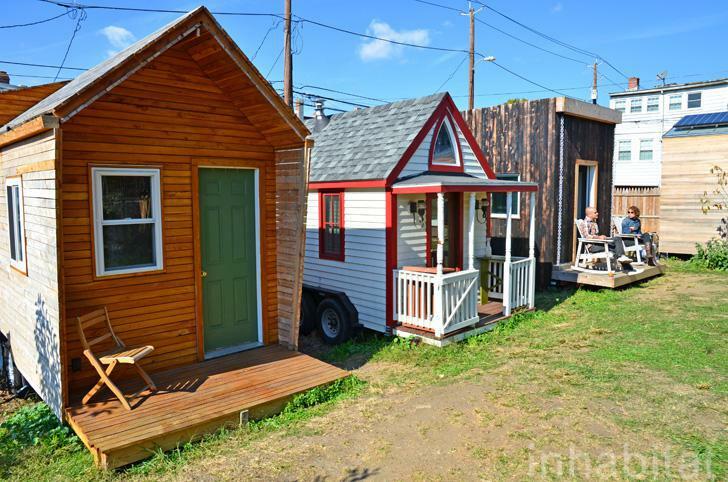 Everything's bigger in Texas...except for tiny houses. With fairly relaxed tiny house laws, this state is a true destination for anyone interested in tiny living. Without further ado, let's take a look at some of the top tiny house builders in Texas. It's important to have the right tiny house builder when starting your project. 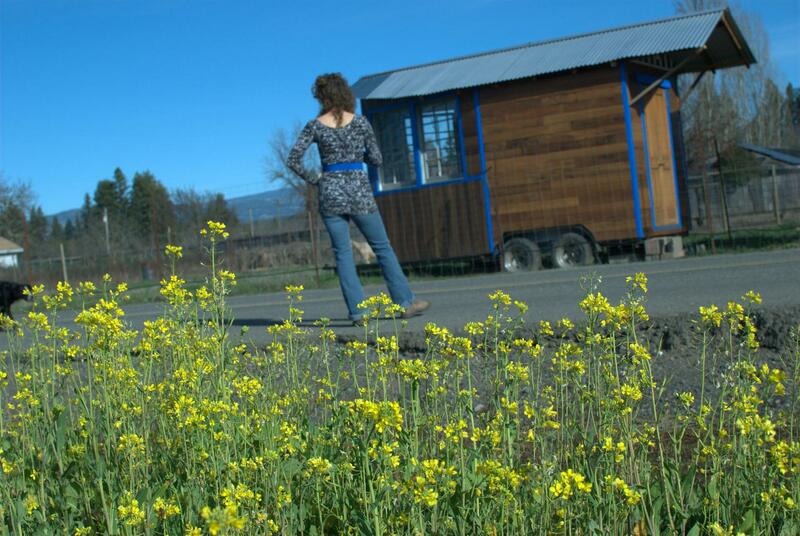 Check out the top tiny house builders in the state of Oregon. You will get our best selection of articles every month, freshly delivered to your inbox. You can join our Tiny House Enthousiasts Group or our Tiny House Owner Exclusive Group to get to know other Tiny House lovers and ask all your questions. Follow us on Instagram and get inspired for you next Tiny House project. 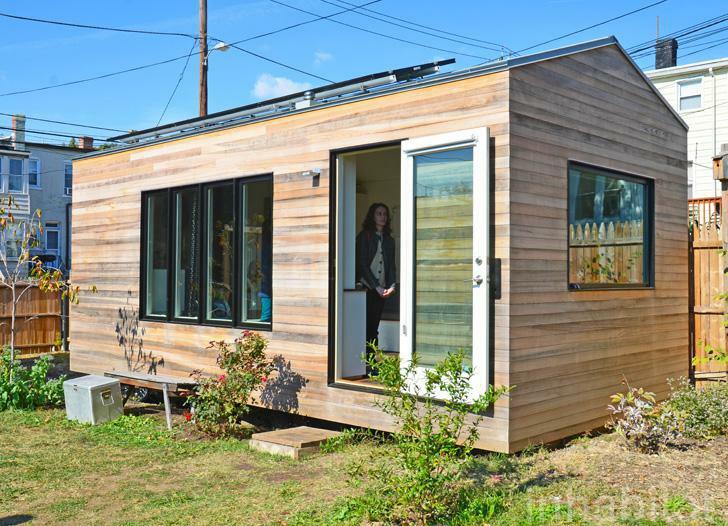 Do I Need A Down Payment for Financing My Tiny House?